Check around the base of the toilet for signs of water damage (i.e. ; rolled vinyl, black or white stains). To check for a "soft floor," stand straddled over the toilet and rock back and forth on each foot. If the floor feels spongy, it is probably rotting or weakened. Provide a rubbish bin in the bathroom so the toilet isn't used as one. Never flush cotton swabs, cotton balls, hair, facial scrub pads, diapers, sanitary products or similar items down the toilet. These items will not easily dissolve and are responsible for most clogs. A rusty water tank is a sign of pending problems. If you are planning to purchase a home, doing a video inspection of the underground sewer pipe may be a good idea, especially in older homes with clay or concrete sewer pipes. The inspection will reveal any flaws with the sewer before you buy and inherit a problem. The cost of repairing or replacing an underground sewer may cost couple thousands of pounds making a relatively inexpensive camera inspection a good investment. What Different Types of Toilets are Available for My Bathroom? Shopping for a new toilet? You’re probably surprised (and possibly a little overwhelmed) at the wide variety of options, features and benefits of modern-day toilets. It’s hard to imagine a household fixture/appliance with such a primitive purpose could be so advanced! To choose the best toilet for your home, review our list of common toilet characteristics in order to make the most informed purchase decision. The vast majority of toilets in homes today are two-piece, meaning the tank is manufactured separately from the bowl, and the pieces are put together during installation. Two-piece toilets can be cumbersome, making installation difficult for the novice do-it-yourself-er to accomplish alone. However, because two-piece toilets are so common, they are relatively inexpensive to buy, repair or have a plumber install. One-piece toilets are easier to install but more expensive than their two-piece counterparts. They are often more sleek and modern-looking in comparison to two-piece toilets and use the same amount of water per flush. One-piece toilets can be ideal for small guest bathrooms or children’s bathrooms, as they are easier to clean, take up less space, and sit closer to the ground. As with the standard two-piece toilet, the vast majority of toilets in homes are floor-standing models. Wall-hung toilets are more common in commercial establishments, but they can be useful in homes with limited space in the bathroom. Wall-hung toilets don’t have tanks, leaving only the bowl and flush plate intruding into the bathroom. And since most homes are built with the waste pipe in the floor, you may have to pay a plumber to significantly alter the plumbing in order to accommodate a wall-hung toilet. Wall-hung toilets are the more expensive choice. Models tend to be significantly higher priced than traditional floor toilets. Plus, the use commercial-grade flushometer systems to flush waste from the bowl, making repairs difficult or impossible for an inexperienced homeowner. The average two-piece floor-standing toilet you’re already familiar with has another feature you already know about, even if you didn’t know what it was called gravity-feed flushing. Simply speaking, when you push down on the flush handle, water drops from the tank into the bowl to move waste down the drain. Flushometer and pressure-assisted toilets works a little differently. Flushometers rely on raw water pressure while pressure-assisted toilet utilizes compressed air to force waste down the drain. Pressure-assisted toilets use far less water than a traditional gravity-fed toilet. If you’ve ever flushed a toilet on an airplane, you can probably recall the whoosh sound made by the flushing mechanism. Pressure-assisted toilets are more expensive than their gravity-fed counterparts, but can present a significant reduction in water usage for conservation-minded households. Another factor to consider is noise--pressure-assisted toilets are loud. If you have a bathroom near a common space, this may be an undesirable feature. And at least one brand of pressure-assisted toilet had a significant recall in recent years after their air tanks ruptured causing the porcelain outer tanks to explode! If you’re looking for an eco-friendly toilet without the noise, a dual-flush toilet might be the right choice for your home. Dual-flush toilets have two buttons or lever options. One button delivers a low power flush using less water to wash away urine. The second button deliver the full flush power of the toilet to rid the bowl of solid waste. Over time, dual-flush toilets will conserve a lot of water. Standard toilet bowls usually come to 14-15 inches in height. Comfort height (or seat height) toilets reach between 17 and 19 inches in height. The taller toilet seat can be more comfortable for individuals to use, especially if they experience limited physical mobility. At the end of the day, toilet seat height is a matter of preference. When it comes to bowl shape, the decision-making factor is usually comfort. Some people find an elongated toilet bowl more comfortable. However, smaller bathrooms may necessitate a round bowl to save a little bit of space. Who says a toilet has to be purely functional? Smart technology is invading our homes, and toilets are no exception. If you’re hoping to take your toilet experience to the next level, look for hands-free flushing, heated seats, built-in bidet functionality, automatic overflow protection, self-cleaning and self-deodorizing features, and even toilet bowl nightlights for those midnight trips to the bathroom. The Japanese have enjoyed these luxury toilets for a generation, but they are still rare in our homes, partly because they require a nearby electrical outlet to power the luxury features. The bathroom is a very important room in every home—and it’s essential that the plumbing work correctly. Homeowners everywhere count on Lazard Plumbing for all aspects of bathroom plumbing, including repair, replacement and installation. Give us a call on 01708 502 346 / 07574 544 129 or chat with us online. Spring fever is raging across the nation, with symptoms including thorough cleaning, remodeling, and home re-birth. If you’re feeling a bit “feverish” but don’t have a lot of cash to invest, you’re renting, or simply don’t feel confident about a big renovation right now, there are plenty of small things that can be done to refresh your home. The kitchen sink is a great place to start! 3. Install an under-counter water filter! Enjoy the refreshing taste of filtered drinking water without having to spend a fortune on bottled water. Most point-of-use filtering systems fit easily under the sink and can be installed in an afternoon by a proficient do-it-yourselfer. Sure, this may be a bit more expensive than adding a soap dispenser or switching out a flange, but in the long run you’ll be saving money, helping to reduce waste associated with bottled water, and treating your family to delicious, pure water. April showers bring May flowers and the onset of spring, which means it's time for "spring cleaning”. Check these maintenance tips to protect your home against plumbing problems. Check toilets for hidden leaks. Add six drops of food colouring to the toilet tank. If the toilet is leaking, colour will appear in the bowl within 30 minutes. Clean mineral deposits from shower head. Unscrew it and soak in vinegar or fill a plastic baggie with vinegar; place it over the shower head and hold in place with a rubber band. Soak overnight then remove and gently scrub with an old toothbrush to remove deposits. Carefully drain several gallons from the water heater tank to flush out corrosion causing sediment, which reduces heating efficiency and shortens the life of the heater. Check your water heater manufacturer 's website for specific instructions concerning your make and model. Consider replacing a water heater that is more than 15 years old. (The first four numbers of the serial number represent the month and year it was made.) Newer water heaters are more energy efficient. Install a backflow valve in the floor drain if you live in an area where sewers sometimes backup into homes. This device will prevent future backups. Forget using chemicals to open or clear drains — they rarely get the job all the way done. Plus, not only are the chemicals very harsh and dangerous for you to handle, they can also ruin drain pipes and the equipment used to clear the stoppage. Hint: To prevent blockages in the first place, keep notorious cloggers like grease and hair out of drains. Even if they’re labeled “flushable,” don’t toss feminine hygiene products, personal-cleaning wipes, toilet scrubbers, makeup remover pads or cat litter into the toilet. The fact is, they don’t disintegrate quickly enough and can ultimately block the drain pipe. Don’t be in the dark when it comes to knowing the location of the main water valve and every emergency shut-off valve in your house. And while you’re at it, learn how to turn off these valves. It’s easy but if you’d prefer to have pro show you how, many plumbers will check emergency shut-off valves at no charge. Don’t skimp on water leak protection. It only costs a few hundred pounds to get a water leak protection system that offers both an alarm and a main water shut-off should a leak occur in your water heater, dishwasher, sinks and more. Don’t think your tank water heater will last forever — the average lifespan is 8-12 years. Just like toast tends to fall butter-side down on the floor, your 20-year-old tank will inevitably fail and flood while you are on vacation. Unusually cold weather in the UK is starting to play havoc with boilers, with many of us waking up to no heating or hot water. If this is you, you may find that your boiler is flashing up an error message on its screen or making strange gurgling noises. As annoying as this is, with temperatures below freezing, the likely culprit for your problems with modern condensing boilers is a frozen condensate pipe. Condensing boilers produce slightly acidic condensation as a by-product, which is expelled via a pipe to the outside of your house via a polymer pipe. When the temperature drops, this pipe can freeze, eventually creating a blockage and preventing your boiler from working. Although boilers are supposed to show an error message that helps you track this down, sometimes it’s not that simple. For example, it can show error messages such as F1, F9 and F13, even though the problem is the same. Before you start, turn your boiler off at its dedicated switch. If your boiler is on the ground floor, go outside and look for a plastic pipe that comes out from the wall that your boiler is mounted on. If you can see the end of it, take a look and see if it’s frozen throughout; if you can’t see the end, then it’s worth trying the method to fix it anyway. If you can’t see a pipe coming through the wall, you may have an older type of boiler and will need to call a heating engineer. Likewise, if your boiler is mounted higher up, it’s dangerous to get to, so you’ll need to call a registered heating engineer. Now, you need to thaw out the pipe, clearing the ice blockage. You can strap a hot water bottle to the pipe, although this takes time. The better option is to use warm water to melt the ice. Don’t use boiling water, as this could be dangerous; start your kettle, but cut it off when the water is warm, but not boiling. Now, go outside and pour the warm water up and down the length of the condensate pipe. Use a full kettle-load of water to make sure that you’ve got everything out. Now, go back in and turn your boiler on. It should start automatically, running through a start-up cycle. If you still get an error message, then you may have to reset the boiler by checking the manual (these are available online if you Google the manufacturer and model name). To prevent further issues, you can try lagging the pipe, insulating it from cold weather. A lot of boiler installations use small pipework for the condensate pipe, but larger pipes (25mm+ in diameter) make it harder for the ice to block the run. When you get your boiler serviced, you can ask the engineer to make these changes for you. You should get your boiler serviced regularly to make sure it’s working properly. A faulty boiler could waste you money on energy and might even start leaking poisonous carbon monoxide. Because the gas is colourless and scentless, it’s hard to tell if one of your appliances starts leaking carbon monoxide – so you should get them serviced by a Gas Safe Registered engineer once a year. What happens during the service? We’ll inspect your boiler and controls to make sure they’re working properly. We'll check your boiler for corrosion and leaks. We’ll take off the casing of your boiler to inspect the main components. We’ll check the gas pressure. We’ll test the flue to make sure it’s not emitting any unsafe fumes. We’ll clean the parts (if tests indicate they need it). We’ll pop the casing back on and check the seals. We’ll leave you with a checklist of information about your boiler’s safety. But the bathroom is a heaven for many of us: a place to relax and rejuvenate. It’s where we start and end our day, and should be both utilitarian and comfortable. Even if you can’t make extensive changes to the space, there are still a number of easy, inexpensive, and 100% reversible ways to upgrade and personalize the bathroom in your new apartment or rental. 2. Rugs = versatility. A nice rug can cover up ugly linoleum or tile, help prevent slips and falls, and provide a soft, warm place to stand while you’re drying off after the shower. The best part of all? They can be swapped out for a new color, size, or style whenever you want and they’re easy to keep clean – just be sure to hang it up to dry and throw it in the washer periodically. If you want something that’s gorgeous and durable, have a look at the Teak bath mats. 4. Install a new toilet seat. You wouldn’t believe the variety of toilet seats there are out there! Whatever your bathroom color scheme or theme, we’re sure you can find a seat to match. There are hundreds of different colors of toilet seats, plus fun ocean themed, butterfly, and even music-themed toilet seats. In addition to adding some style to your bathroom, you also get the assurance that your new (to you) toilet has a guaranteed-clean seat! What makes it more appealing than conventional radiator heating systems? Is it worth of investing in? There are two types of underfloor heating systems; warm water systems (known as hydronic or wet) that heat the floor with hot water streaming through water pipes, or electrical underfloor heating where wires are installed beneath the floor to heat the floor up. Both systems provide comfortable radiant heat from the floor for a lifetime. Water based systems take more time to reach the desired temperature, but cost less to run than electric underfloor heating systems. The latter gets to the desired temperature in under 20 minutes. Conventional radiators are far less efficient because they heat the air around them initially, leaving any space away from the radiator cold, whereas underfloor heating heats the floor evenly across the whole room through radiant heat, heating objects rather than air. Finally, underfloor heating heats the entire room far quicker than radiators. Underfloor heating does an amazing job of ensuring that the air in your rooms is not stuffy. Radiators heat the air, pure and simple. This can often mean that you end up opening the window above them to bring in some fresh air to the room. This is a loss of energy and a waste of your money in expensive energy bills. Underfloor heating simply heats the floor, which means that you can enjoy the same levels of warmth that a radiator brings, but with the air not feeling crowded and pressured. Higher heating costs that come with conventional radiators are also due to their extremely high temperature, usually between 65-75°C. Underfloor heating on the contrary does not have to be heated any higher than 29°C, or, in some cases an even lower 27°C for delicate floor finishes, to warm you up. Therefore, underfloor heating does not use much energy, bringing your heating bills down. Underfloor heating warms a room in a rather unique way. You may be used to radiators heating the air but underfloor heating warms from the ground up. This is less wasteful, it makes sure that you get more for your money, and ensure an all-round more pleasurable heating experience. The reason; when a radiator heats up, the heat moves along the walls upwards. The thermal current of hot air cools as it rises and subsequently drops. This creates an air cycle, meaning that you can feel the hot temperature reflecting from the radiator when close to the radiator or on the other side of the room due to the air cycles created by thermal currents. However, in the middle or on other sides of the room, the temperature remains cool and you can physically feel cold spots. Underfloor heating on the contrary warms up evenly across the room leaving no cold spots. This may bring us to our last point. Harping on about the gentle warmth that the underfloor factor brings seems easy, but the best reason is without questions the long-term cost savings. Underfloor heating, when installed correctly, doesn’t need any maintenance for a lifetime. Once the heater has been laid down in the floor construction underneath the floor, it will be up and running for years to come. For people with long-term financial thinking, the investment pays itself back. Not to mention the energy savings and environmentally sustainable choice the underfloor heating makes as discussed previously. The ‘ground up’ effect of heat simply makes it more efficient. The room is heated more effectively and allows you to save money every year on your heating bills. Underfloor heating can spare you up to 15% on your heating bills. The thing with radiators is that they take up wall space. Even the slimmest and most efficient radiators on the planet still take up some space on the wall, and if you fit the guards too, you’re looking at a solution that essentially makes your rooms slightly smaller. You don't want this. Instead, and as a clear alternative, underfloor heating throughout the room means that you are able to claim that space back. No longer will the radiators eat up the inches; on the contrary, you will have more room to enjoy every inch of your space. The next time you look at your walls and wish you could give them an entirely new look, think about the possibility of underfloor heating. With the radiators gone, you have complete freedom to make those walls shine, take the opportunity to introduce bold colours and finally get that ‘feature’ wall you always wanted. It’s all possible with underfloor heating. Your home is your own, and you've spent years making it so. Your style shouldn't suffer just because you’ve decided to bring in some underfloor heating. Whether it’s laminate, carpet or wood, underfloor heating seamlessly integrates, making your floor perfectly warm and attractive no matter what it is made of. The large range of different underfloor heating systems suited for every floor type allows you to choose the floor finish of your dreams combined with the most efficient floor heater underneath. Don’t leave it to chance – unchecked appliances could pose a risk to you and your family All gas appliances in your property need to be safety checked by a Gas Safe registered engineer annually and serviced according to manufacturer’s instructions. Any appliance left unchecked could leave you at risk of carbon monoxide poisoning. It’s an extremely good idea to have your gas pipework inspected at the same time as having a gas safety check, every year – and it’s law if you’re a landlord. Servicing If you notice any of the following warning signs, you’ll want to get your appliance serviced right away: The gas appliance is not working properly The appliance is burning with a lazy yellow flame rather than a crisp blue one Black marks/stains are evident around the gas appliance The pilot light keeps going out There is increased condensation in the room LAZARD PLUMBING IS GAS SAFE REGISTERED! CALL US TODAY! A Powerflush is a cleansing process which aims to remove deposits of sludge, rust and any other debris from your central heating system. 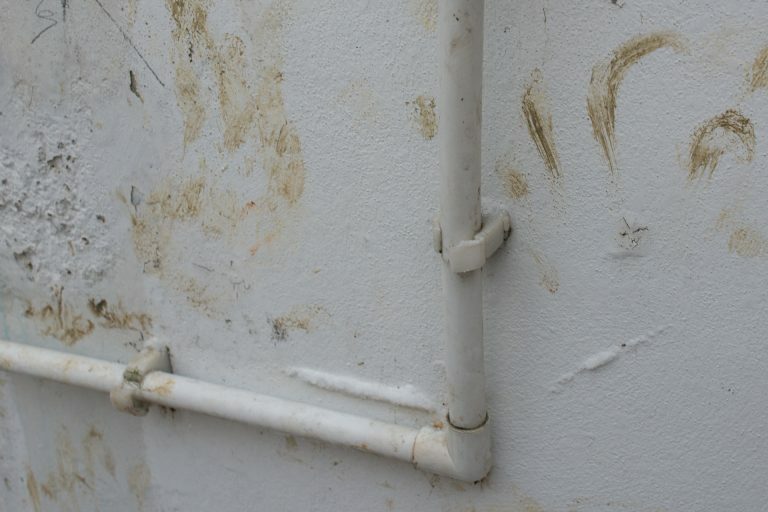 These contaminants, if left, can seriously affect the efficiency of a heating system and, in severe cases, a powerflush could be the only option available. Over time the water in your pipes, boiler and radiators deposits unwanted byproducts like rust. This rust (plus other dirt and debris) becomes an unpleasant, mud-like substance that professionals affectionately refer to as ‘sludge’. Sludge in your heating system can cause to blockages and corrosion which will lead to both inefficiency and / or breakdown. In extreme cases it can be so damaging that a complete boiler replacement is needed. Can a water softener help prevent plumbing damage? Generally, soft water is better for your pipes. A water softener can help prevent plumbing damage by removing the excess minerals from the water. The softener works by releasing its own chemicals into the water to reduce the calcium and magnesium, making the water taste and smell better, easier on your skin and clothes, as well as protecting your water pipes. Are there any disadvantages to having a water softener installed in my home? Two disadvantages may be cost and maintenance. Depending on the type and size of water softener you choose, the price of the unit plus installation will vary greatly. You also must keep up with maintenance on the system. Be aware that many water softeners use sodium (salt), so you may want to have a separate, untreated cold water supply for drinking, cooking and irrigation. If you live in certain areas of the country that have a higher concentration of hard water, it might be beneficial for you to invest in a water softening system. If you decide to go without a water softener, you will probably need to have your water appliances serviced more often, especially water heaters and dishwashers. So, you think you have a leak. Maybe it’s obvious, maybe it isn’t. Are you just being paranoid? Let’s try to find out. If you’ve noticed disturbed dust patterns that look suspiciously like a dirty car after the rain has dried, we would agree that there’s been water disturbing that dust at some point. Whether the water was from an open window during the rain, a leaky supply line, or a kid with a spray bottle… well, that’s harder to tell. Naturally if you see water, just follow the drips, turn off the nearest shutoff valve, and either fix it or call your plumber. But if there’s no water now – just dusty evidence – you still might be able to find the leak. Water follows the path of least resistance. There’s a pretty good chance if you found evidence of a leak (and it hasn’t been fixed), that water will travel that way again. One trick to help find where the drips are dropping from calls for a paper towel or paper bag. This is a useful trick in rental homes, especially when you’ve just moved in (since a leak may have been fixed, but the clean-up job may not have been too great). Grab a paper towel, a paper bag, or even a newspaper and put it under where you suspect dripping. If a drip falls, it will leave a spot, which should help you find where the drip originated. You can also try making an ink grid on the paper using some sort of non-permanent marker to make any drips more obvious. 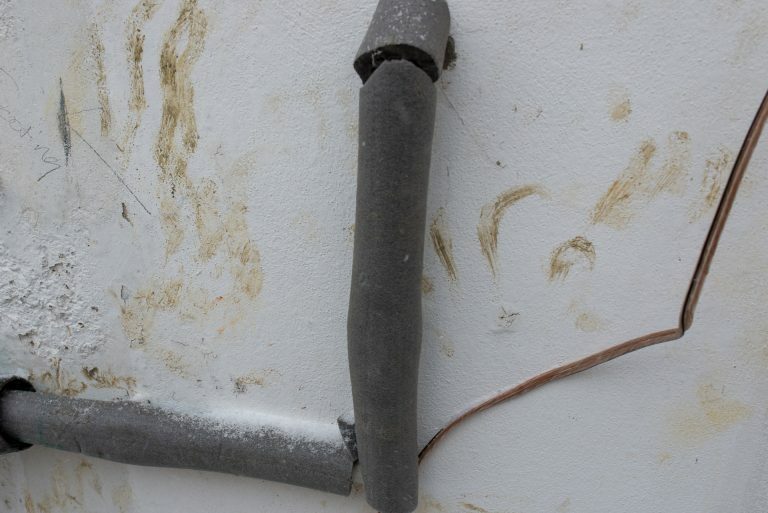 If there are supply lines or appliances around the suspect area, check them carefully for rips or splits, unattached hoses, or anything else that looks like it could cause a leak. If all looks right, turn on the water (or water-using appliance), making sure you can turn if off again quickly just in case. Check for leaks (you may need to wait a few minutes), and turn everything back off. If you see drips on your paper, put a bowl or bucket to catch the water, then trace that drip back to where it came from. Once you know what’s leaking, you can fix it yourself or call your landlord and/or plumber and let them know what you found (and how you found it). If you see nothing at the time, it might just be a really slow leak. Check on it daily or more often to see if drips fall when you’re not looking. If you have no drips after a week or so, the leak might have been taken care of, or it might have been that kid after all. Or maybe it only appears when it rains. We offer a terrific assortment of water alarms if you want to be notified exactly when the leak reappears. Either way, still check every so often, and mention it to the professionals the next time you see them. always mean you don’t have one. Listen to your gut and look at the evidence. If you feel something isn’t right, your water bill suddenly shoots up, your water meter seems to be running a marathon, or you hear running water when nothing is on and can’t find the reason, don’t wait, call your trusted local plumber right away! Not all leaks are easily visible, or leave obvious clues. Some leaks, like ones under a home, may manifest as a warm spot under your feet that hasn’t been there before, or a yard that suddenly has squishy places (possibly broken sprinkler pipe, but also a potential septic issue). These sorts of leaks require a licensed plumber quickly.